In the giveaway for Deep Sea Diver (now closed) I asked what your little one’s favorite ocean creature is. I love the variety of responses and wanted to share the answers with you. 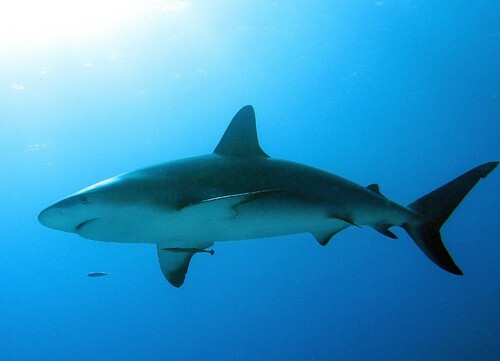 The runaway winner of favorite ocean creature is shark. Cue Jaws theme music! *Shark photo courtesy of Vic DeLeon via Flickr. Scott has discovered the joy of clicking hundreds and hundreds of pictures with my phone. He recently took several of me while we were on the porch. I kept trying to encourage him to get my face in the picture, but to no avail. I am left wondering if he really sees me with a face, or if I’m just an enormous pregnant belly to him! What evidence do you have of your little one’s perspective? Sammi singing for joy over all the mail! So after a week of trying to resolve the technical problem, I posted about it this morning. Then when getting ready to call GoDaddy to see if they can help me figure it out I tried again to upload a picture so I could tell them the exact error I keep getting. But this time it loaded! Yeah! Here’s the Oobleck post with the pictures included. Enjoy! Oh, technology! I only know enough to keep the blog afloat but when glitches happen I’m a lost soul! Currently I’m having difficulties uploading pictures to posts. We’ve done all the things we’ve done in the past that have fixed the problem but this time nothing is working. Please bear with me as I try to sort this out or find an alternative solution. Thanks! I happened upon this song by Jenny Phillips (LDS singer/songwriter) and loved the message of the song. Also, the kids at the beginning are precious. She asked them how they know God is real and they gave the sweetest answers. Don’t forget to enter the giveaway for My Memories Suite. It ends tomorrow night.